Email now to ask questions or schedule your flight.We are taking requests for new flights. Weekends are going fast! Please fill in the form and we will contact you within the next 24 hours to discuss your planned flight. Once we decide on the date and time of your flight, you may pay a refundable deposit to hold that date. Let us share with you the thrill of a hot air balloon flight! Imagine! As the dew covered meadow shrinks silently away, the panorama of the earth becomes a breathtaking view of beauty and life. You have just taken off on a wondrous flight of fancy and are floating silently and magically in the soft breezes that move you along. The perception of life and your role in it now take on new realizations. Take a breathtaking VIRTUAL flight. click here! 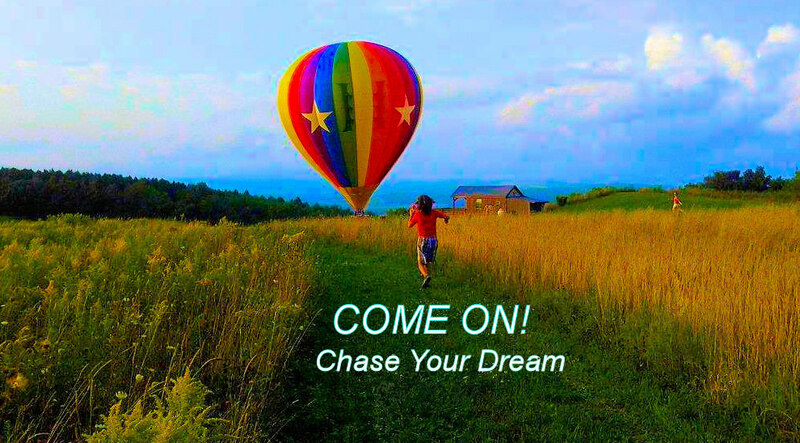 We welcome you to the wonderful world of ballooning in Maryland! Our champagne flights take place over beautiful Howard & Carroll Counties at sunrise and two hours before sunset. Capture the moment and treat yourself and a loved one to a most rewarding experience on "DREAMSTAR BALLOON". A $75.00 deposit per person will hold that date for you. Good dates will be going fast. Email or call. Create on line animated-musical gift certificate in minutes. It will be available immediately for showing. 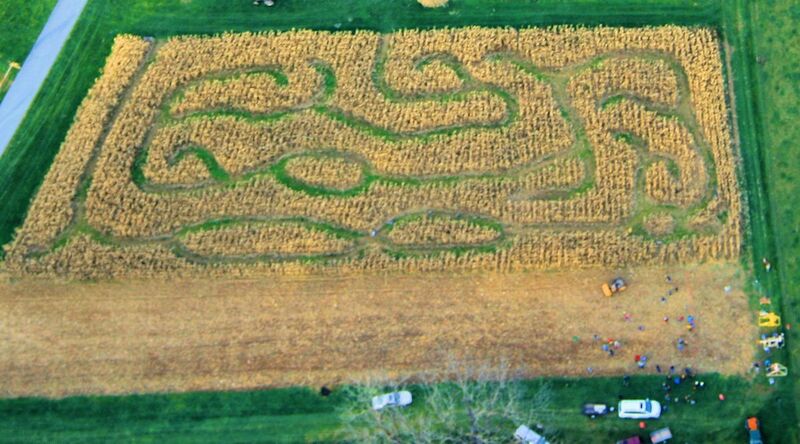 THE MAZE - Jim Nills Farm in Mt Airy Maryland. July 14th, 2018, Calvert County (St Leonard) MD. October 16, 2016 Video of our Carroll County flight. Courtesy of Jake Leese. March 18, 2015 - Air and Space Museum tethered flight. See our participation in the educational series on ballooning. see video and pictures. The Stem in 30 program is an educational series made available to 7-8 graders at the Museum and by way of video conferencing to schools throughtout the country. Did you know .... the first American to ride in a balloon was Edward Warren, a 13-year-old boy who rode in a tethered balloon at Bladensburg, Maryland, in June 1874. August 2012 - courtesy of thalx on YouTube.com Tracking Dreampuff balloon on a beautiful August evening. This special flight was a surprise wedding proposal flight with many friends of the special couple following along on the chase and gathering at the landing site for champagne toast celebration. "Life is not measured by the number of breaths we take, but rather by the moments that take our breath away." © Content: 2019 WebWorld Creators. Flights are scheduled for 45-60 minutes - seven days a week at sunrise and 2 hours before sunset. >> $799.00 exclusive per couple for a 45-60+ minute flight for you and that someone special alone with the pilot. Our sweetheart flights are scheduled Monday-Thursday only. If special request for weekend- call us... Are wedding proposal plans in the works? Or, do you want to treat your spouse/sweetheart to a unique experience of a hot air balloon flight? >> Repeat flyers of Friendship Hot Air Balloon will receive a 10% discount on their next regular balloon ride purchase. >> Family member discounts apply on the regular 45-60 minute flights when you book 4 passengers on the same flight. >> NSA(DOD) employees and first responders receive a 10% discount on regular flights. >> Preferred form of payment is by check or cash. If you wish to use Paypal or credit card, a 3% service charge will apply in addition to the flight fee. If you pay deposit or full amount ahead of time and then cancel your request for personal reasons, a 10% handling fee will apply on your payment. If we are unable to fly due to the weather, a full refund of your payment will be made. We carry up to 4 passengers. >>> maximum weight per passenger is 280 pounds. >>> the heat of the day and total weight of passengers determine how many persons can fly each flight. We can carry up to a maximum weight of 750 pounds combined for all four passengers on a cool day. The warmer the day, the less weight we can carry.